The Intel Core i9 9900K is simply the fastest gaming processor that you can buy. That’s not really in dispute, but, while that is the aim for Intel’s top CPU, we’re almost at a point where being ‘the fastest’ is no longer as relevant a boast as it once was. Intel released a Core i9 processor into both the mobile and high-end desktop markets in the last generation, but the middle-ground mainstream processors were left with the Core i7 sitting at the top of the CPU tech tree. 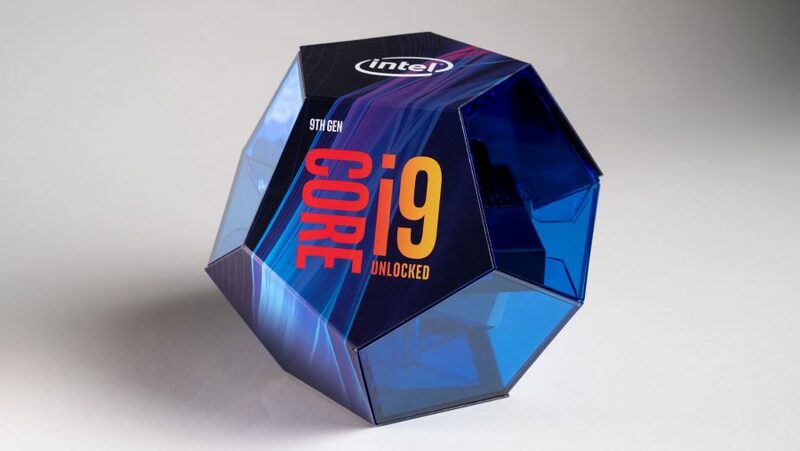 No more, with the launch of the Core i9 9900K Intel has not only added a new high-end tier to its mainstream desktop range, it has also added another pair of cores to the refreshed Coffee Lake lineup. Yes, Intel has finally caught up in the core-count stakes to AMD’s disruptive Ryzen processors. After rushing the six-core Coffee Lake chips out at the tail end of last year it’s now following up with the eight-core, 16-thread Core i9 CPU so that it can dominate both in the gaming performance, as well as multi-threaded metrics. 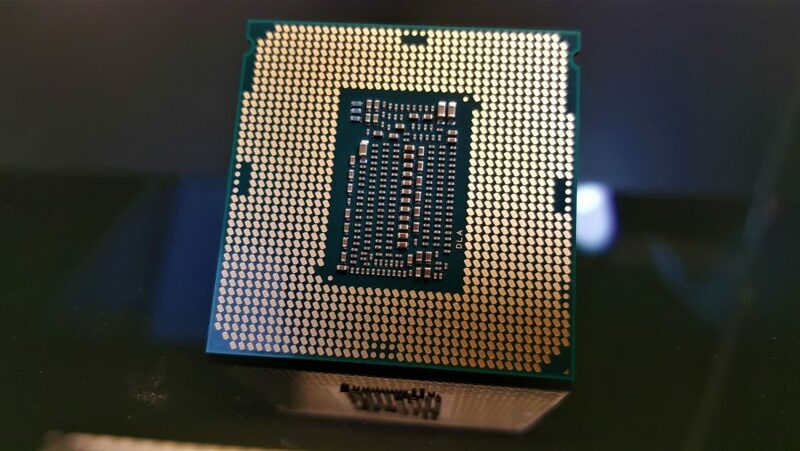 But, unlike previous generations where the extra cores came into the top tier and drove prices down on the lower-spec chips, the Core i9 9900K has come in above them all, like some processing colossus, with a price tag to match its new specs list. And that makes it a tough chip to love. At $535 (£550) the i9 9900K is bounding right into HEDT territory and getting mighty close to pricing of the new 9th Gen X-series CPUs. So, what does the new Intel chip really offer to justify that super high price tag? Despite the Intel 9th Gen moniker I’m really struggling to see where the justification is for referring to the refreshed Coffee Lake CPUs as a whole new generation of processors. 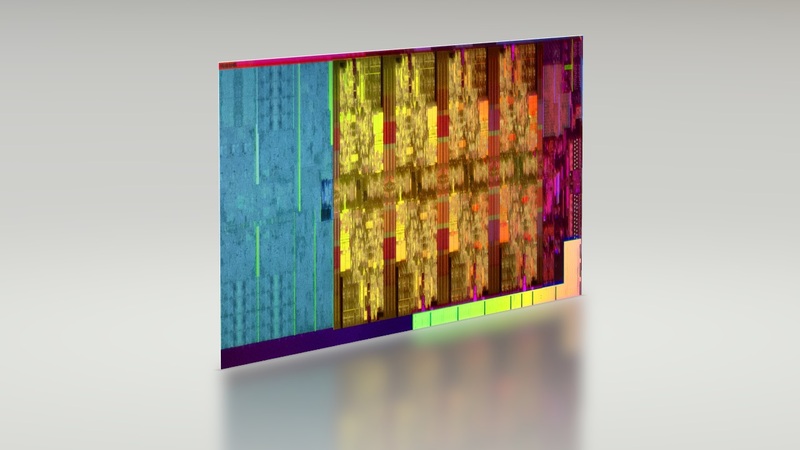 They are all still using the same 14nm++ process node that was introduced with Coffee Lake and are still essentially using the same CPU microarchitecture which was first released with the Skylake chips back in 2015. 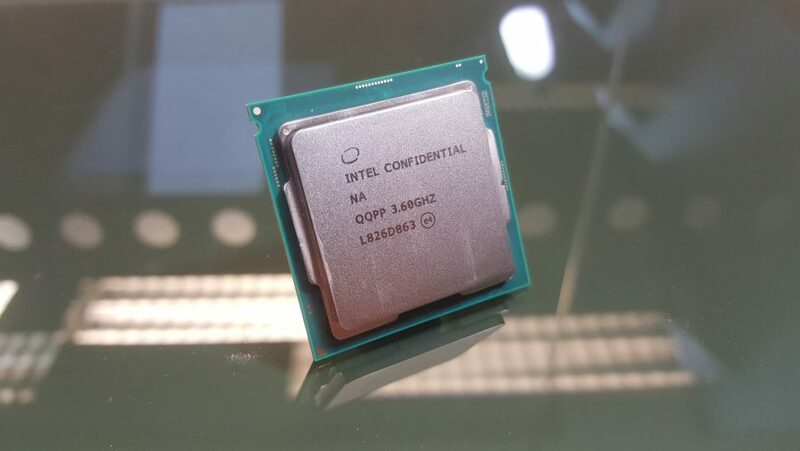 The big news for the top of the 9th Gen range is the fact that Intel has introduced a chip with eight cores and 16 threads below its HEDT lineup, one that will fit into the existing Z370 motherboards as well as the new Z390 update. It’s also the first mainstream processor to arrive with a 5GHz Turbo clock out-of-the-box, though that might be construed as a little disingenuous given that it’s incredibly rare for the 9900K to actually clock itself up to those heights in normal use. 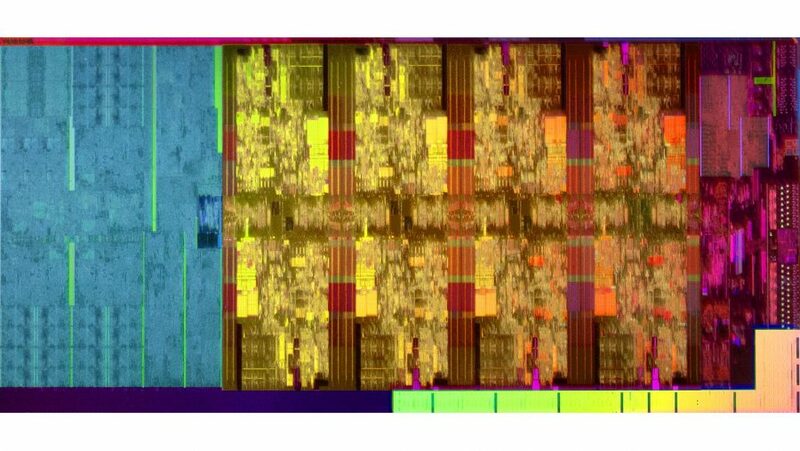 We’ve seen it knocking around the 4.7GHz mark under all-core loads, and around 4.8 – 4.9GHz for rigid single-core tasks. Which, admittedly is mighty quick, but isn’t quite the 5GHz you might have hoped it would be tracking at. You’re also get a little bit of extra cache memory; another 2MB per core compared with the top of the 8th Gen product stack. Impressively, Intel has managed to keep the new cores, and the higher clock speeds within the same power envelope as the previous generation of Core processors, matching the same 95W TDP as the old six-core i7 8700K. That speaks to the efficiency that Intel has built into its extra mature 14nm process; there’s life in the old node yet. But that’s pretty much your lot. The same number of PCIe lanes on offer, the same level of DDR4 support (though reportedly up to 128GB if you really are a memory hog), but with a few hardware mitigations built into the design process to avoid any issues with the Spectre or Meltdown bugs. It is, after all, just a mild refresh of Coffee Lake, but with a 9th Gen badge attached to it. The Intel i9 9900K is the fastest gaming processor in the world. That’s what Intel has been trying to get at with the pre-release hype about its new eight-core chip, however gritty things got with the reception to the paid-for benchmarks that accompanied its official launch announcement at the beginning of October. So if you’re after a CPU that will deliver the absolute highest gaming frame rates, and hang the price of it, then the 9900K is the chip for you. Our benchmarks more or less bear out what Intel’s own results have been saying for the last couple of weeks. When you look at the standard processor tests – the CPU rendering Cinebench and X264 video encoding benchmarks especially – you can see the lead that Intel’s newest chip commands over the AMD competition, and over the previous generation of its Core processors. Whether it’s single-core performance or multi-threaded chops, the i9 9900K has it all its own way. It’s around 17% faster on one core, and 10% with all 16 threads in action, when compared with AMD’s top octa-core CPU. Some of that extra performance is down to the higher clock speeds that Intel is able to run its chips at, and some of it is down to the extra instruction per clock (IPC) that the Core architecture can deliver. When run at the same clock speed, however, the difference between the two processors becomes a little more interesting. Intel retains its single-core lead, with the IPC advantage giving it around 5% higher CPU performance, but it loses out in multi-threaded terms against the AMD Ryzen 7 2700X, dropping behind by around 3% in the Cinebench test. 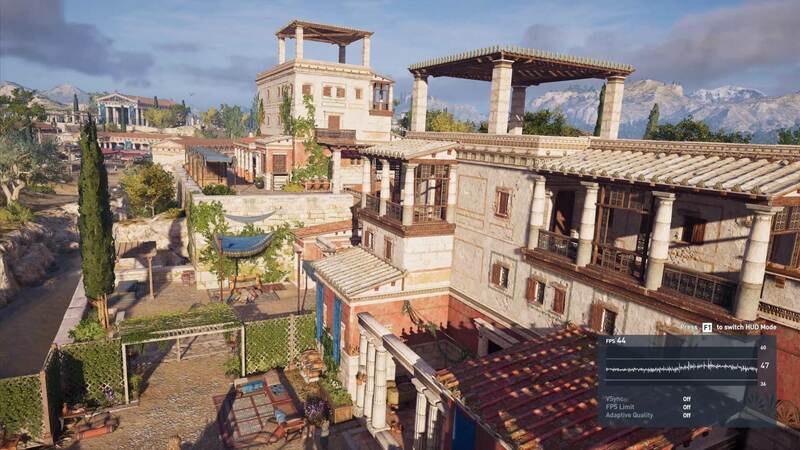 But in gaming performance things aren’t quite so easy to gauge, and that’s because so much of the frame rate pacing of your PC is down to the graphics card and not the processor. If you take the GPU out of the equation, leaving the gaming benchmarks to deliver a performance difference based essentially on CPU power alone, you can definitely discern the delta between the Intel and AMD architectures. Our traditional tests have been run at 1080p with a relatively high-performance GPU – but not the absolute highest – to give a bit of a balanced view. Though now, with modern games, even at 1080p the GTX 1070 is getting bottlenecked at the highest settings. But that all means there’s barely any difference between the top Intel and AMD chips when it comes to gaming under those circumstances. The 9900K squeezes ahead by a few frames per second, except in Civilization VI where it drops behind, though does still have the edge in Civ’s AI turn time test. If we take the GPU out of the picture, by dropping in an RTX 2080 Ti and sticking to the 1080p resolution, the gaming performance lead becomes clearer. You’re then looking at between a 20 and 40% performance lead for the 9900K. The struggle is that taking the GPU out of the equation doesn’t give a particularly clear bead on real-world performance. When we’re playing our games we’re pushing the graphics settings to the limits of our video cards; we are by choice opting to be GPU-bound. And in those circumstances there’s barely any difference between the eight-core AMD and eight-core Intel processors. 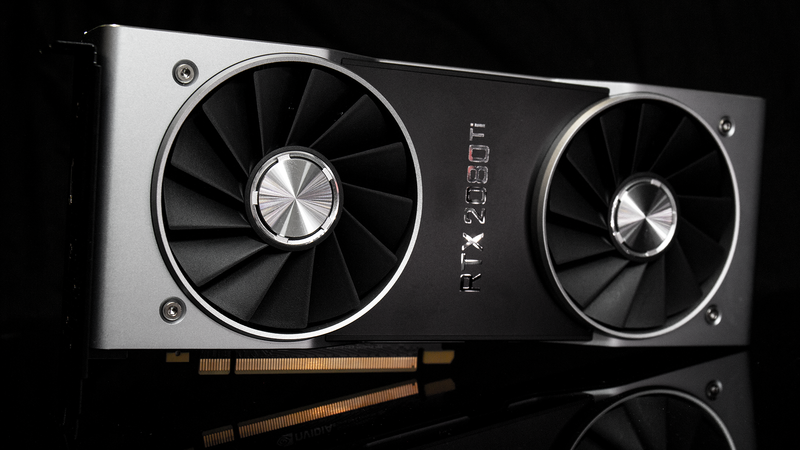 If you’re spending $1,200 on an RTX 2080 Ti then you’re not going to be looking to run your games at just 1080p, you’re going to be hoping to hit 4K. 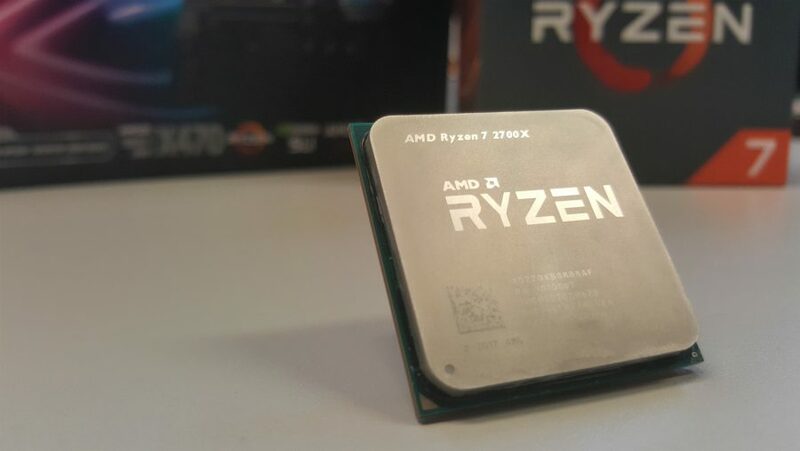 But even though the latest AMD Ryzen processors are nominally built on a 12nm process node, while the Intel chips are still essentially operating on the same 14nm design it’s been using since 2015, the Core processors are still more efficient. Using the same Corsair liquid-chiller on both manufacturers’ chips the Intel runs much cooler under load, and also uses a lot less power too. Because Intel has dropped this i9 processor on top of the existing CPU tiers it commands a much higher price than both the previous top Coffee Lake chip, the Core i7 8700K, and the top AMD eight-core, the Ryzen 7 2700X. That makes this $530 (£492) i9 9900K difficult to recommend as the “world’s best gaming processor.” It’s certainly the fastest gaming CPU, but with so much of a game’s performance being down to the graphics card, you’re better off spending the price difference between the 9900K and the 2700X (and between the relative motherboard platforms) on a better graphics card. A faster GPU will always deliver a higher frame rate than a quicker CPU. So, with the gaming onus being on GPU performance what relevance does having the fastest CPU really have for most of us? Of course that’s all assuming you have a finite pool of money to spend on a gaming PC build. If not then go for it, drop an i9 9900K into a rig with an RTX 2080 Ti, be done with it, and bask in the jealousy of your gaming peers. There is, however, the argument that with the Intel i9 9900K you are giving yourself a modicum of future-proofing. Most of us will keep our CPUs far longer than we will our GPU, replacing our graphics cards as a drop-in upgrade more often. And, over time, GPU performance will improve to the point where the performance gulf between the top two current eight-core processors will become far more apparent. If Intel had chosen to follow suit with its previous generation of processor, and brought the eight-core chip in at the same price as the last six-core CPU, then it would have blown AMD out of the water and truly justified its boasts as the “world’s best gaming processor.” But by putting it out there on its own Intel’s i9 9900K has priced itself out of the market, almost as though Intel has forgotten that it’s got a genuine fight on its hands in the gaming CPU market. Intel is not Nvidia right now. It’s not a company that’s able to price it’s top products with impunity, knowing that there is no competing technology able to rival it. The competition in the CPU world is fierce, and with the AMD Zen 2 chips coming in the middle of next year it’s only going to get tougher. And I’m not sure a $500+ processor with a slight gaming performance lead is enough right now. The fastest gaming CPU in the world, but not by enough to really justify the extra i9 price premium Intel has weighed the 9900K down with.